NO PURCHASE NECESSARY. A PURCHASE WILL NOT INCREASE YOUR CHANCES OF WINNING. INTERNET ACCESS AND A VALID E-MAIL ACCOUNT REQUIRED FOR ONLINE ENTRY/GAME PLAY. SUBJECT TO FEDERAL, STATE AND LOCAL LAWS, REGULATIONS, AND ORDINANCES. OPEN ONLY TO LEGAL RESIDENTS OF THE U.S., 18 YEARS OR OLDER. 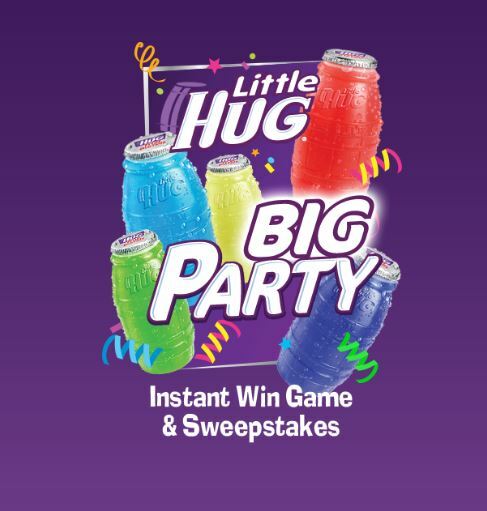 The Little Hug Big Party Instant-Win Game & Sweepstakes is void outside the 50 United States and the District of Columbia and where prohibited. The Promotion begins February 27, 2017 at 12:00:00 a.m. Eastern Time (ET) and ends August 27, 2017 at 11:59:59 p.m. ET (“Promotion Period”). The Instant Win Game will end when all Instant Win Game prizes have been awarded for the final week of the Promotion Period, if earlier than August 27, 2017 at 11:59:59 p.m. ET. Administrator’s computer is the official time-keeping device for this Promotion. How to Play and Enter. During the Promotion Period, visit BigParty.LittleHug.com and follow the instructions to play the Little Hug Big Party Instant-Win Game and enter the Sweepstakes. Online participants in the Promotion will be required to complete an online registration form, providing first and last name, valid e-mail address and daytime phone number, which will be used as a means of contact to notify you if you are a potential prize winner. Once registered, click on the button to play the Little Hug Big Party Instant-Win Game. This will activate a short animation at the end of which you will be prompted to click to see if you have won an instant-win prize (“Instant-Win Game Play’). You will then receive either a non-winning message or a message to inform you that you are a potential prize winner in the Instant-Win Game. If you receive a potential prize-winning message/notice, you will be asked to verify your registration information and to provide your full address in order to begin the verification, prize claim and fulfillment process. Sweepstakes: Whether you receive a winning message or a non-winning message in the Instant-Win Game, you will be automatically entered once into the Sweepstakes portion of the Promotion for each completed Instant-Win Game Play. Only one (1) Instant-Win Game Play and one (1) Sweepstakes entry per person per e-mail address is permitted per day (12:00:00 a.m. ET – 11:59:59 p.m. ET). Playing the Instant-Win Game at BigParty.LittleHug.com is the only means of participating in the Instant-Win Game and entering the Sweepstakes. Sponsor’s liability for a defective or irregular online game play/entry is replacement with another randomly selected game play/entry if timely and otherwise feasible and in accordance with these Official Rules. Can you believe that Halloween is already over? Now, it’s time for all us to prepare for the big Christmas countdown! Knowing that many of us are stressed getting together our Christmas lists and looking at deals, we thought our readers could use a bit of relaxation. To celebrate the start of November and the countdown for the holidays, Budget Earth is sponsoring an awesome giveaway for all of our readers this weekend. 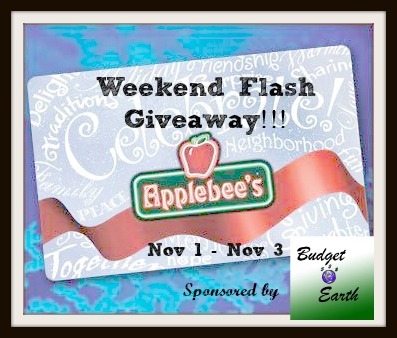 One super lucky winner will have a chance to win a $50 Applebee’s gift card! To enter, make sure to read the rules below and then enter through the Rafflecopter! Giveaway ends November 3rd at 11:59pm. Disclosure: I did not receive any monetary compensation for this post. No purchase is necessary to enter. Void where prohibited by law. The odds of winning are based on the number of entries received. This promotion is no way sponsored, endorsed or administered by, or associated with, Facebook and is Facebook-compliant nor Twitter,Pinterest, or any social media site. Winners will be notified by email. Prize fulfillment is the sole responsibility of the sponsor. MumbleBeeInc may not be held liable for Sponsors who do not fulfill prize shipments. I received no compensation for this publication. My opinions are my own and may differ from those of your own. MumbleBeeInc is not responsible for sponsor prize shipment. Prize fulfillment and shipping will be handle by Budget Earth. 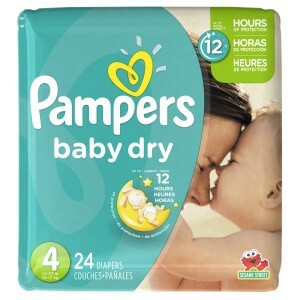 Pampers Give the Gift of Sleep Giveaway! Welcome to Pampers Give the Gift of Sleep Giveaway! 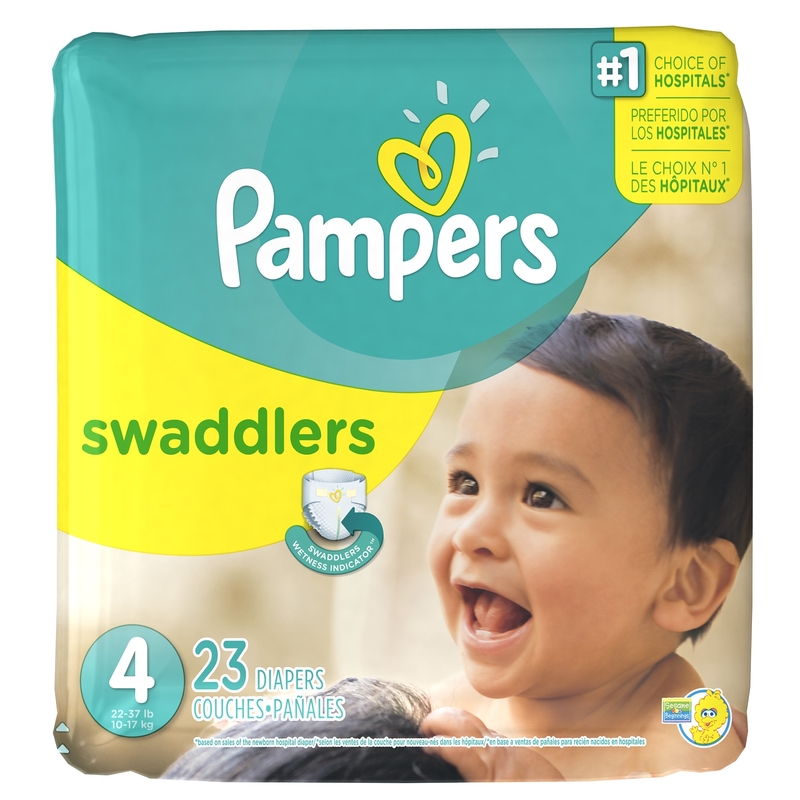 * Pampers Swaddlers, Pampers’ softest diaper and the #1 choice of hospitals, is now available through size 5. * Pampers Cruisers are now more absorbent and offer Pampers’ best fit for all the ways babies play freely. With overnight protection in mind, Pampers wanted to give influential bloggers the opportunity to give the “Gift of Sleep” to a family or baby in their community. 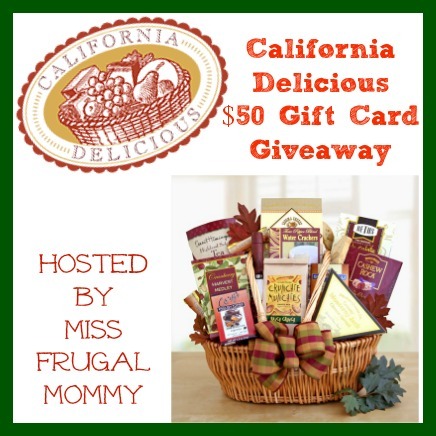 Miss Frugal Mommy recently had the opportunity to Give the Gift of Sleep to an expectant mom in need, you can read more about that here! Now it’s your chance to give the “Gift of Sleep” by entering to win this wonderful prize package!